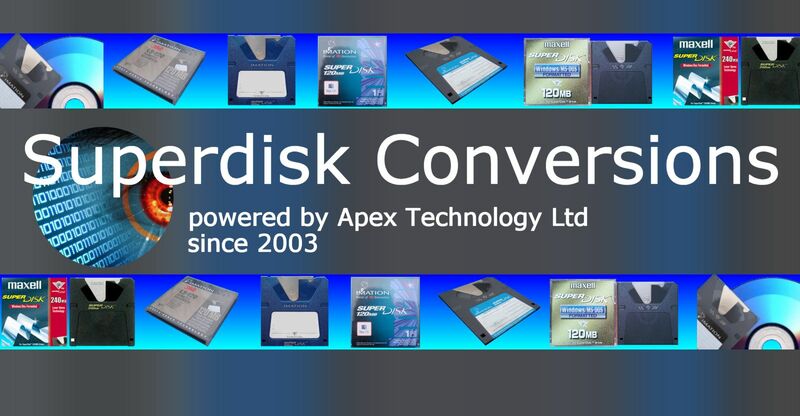 If you need a Superdisk conversions from LS120 and LS240 disks service, then contact our friendly company. The Superdisk is a so-called floptical or optical floppy disk. The drives can often read normal floppy disks but were enhanced with a laser to produce 120mb and 240mb disks. We can convert LS120 and LS240 disks and transfer files to CD DVD or USB drives.